INDIANAPOLIS — The crew of The Children’s Museum of Indianapolis invites visitors to boldly go where many people have gone before on TV and in movies, but few have experienced in person. For more than 50 years, the U.S.S. Enterprise has explored the final frontier and beyond in the television series Star Trek and subsequent films. 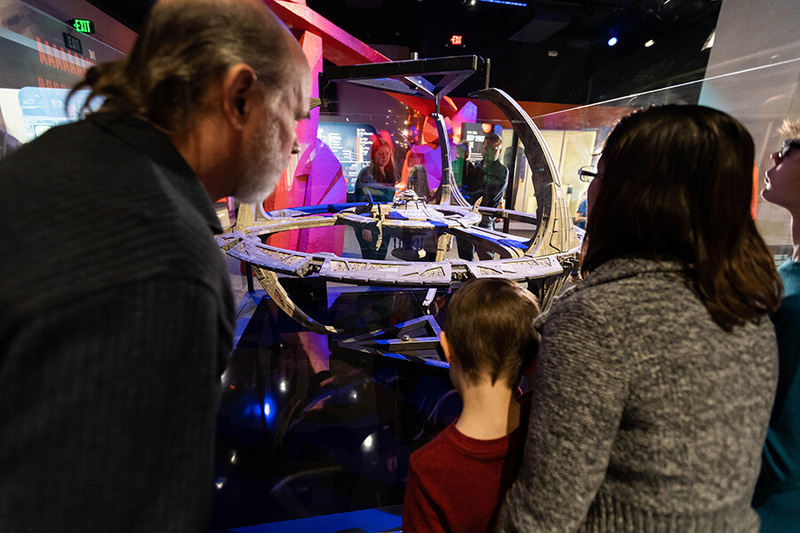 Now, the museum will “beam you up” to explore “Star Trek: Exploring New Worlds,” which opened on Feb. 2 and is on view through April 7. “Star Trek: Exploring New Worlds” is on view at The Children’s Museum of Indianapolis through April 7. Fans will be thrilled to hear the real voice of actor George Takei, aka Hikaru Sulu, helmsman of the U.S.S. Enterprise. The pop culture icon will narrate an exciting, new sound and light show specifically for The Children’s Museum’s Schaefer Planetarium and Space Object Theater. Opening in conjunction with “Star Trek: Exploring New Worlds,” the Space Object Theater transforms into a new multimedia experience exploring how popular science fiction has predicted and helped shape scientific and technological advancements. Featured in the center of the Space Object Theater on a revolving and raising platform will be the real escape pod used by Captain Kirk in the 2016 film Star Trek: Beyond. “Star Trek: Exploring New Worlds” is presented by EdChoice. It is supported by Aquafina and FA Wilhelm. The exhibit was organized by Museum of Pop Culture (MoPOP), Seattle, Washington.